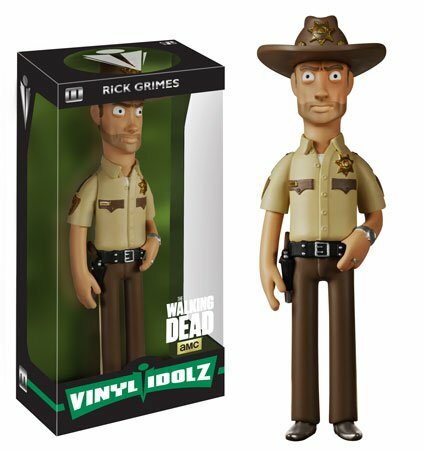 Funko, makers of creepy dolls based on your favorite characters from popular media, has announced the latest addition to their Vinyl Idolz line: The Walking Dead dolls, with vinyl-ized representations of three of the most popular characters from the series. And….whoa, yikes. I swear, Rick, I mean no trouble. Please don’t kill me. Coming up next from Vinyl Idolz is “The Walking Dead”! Rick Grimes is looking sharp in his sheriff outfit, surveying the scene and ready to lead his group (where’s Carl?) to safety. 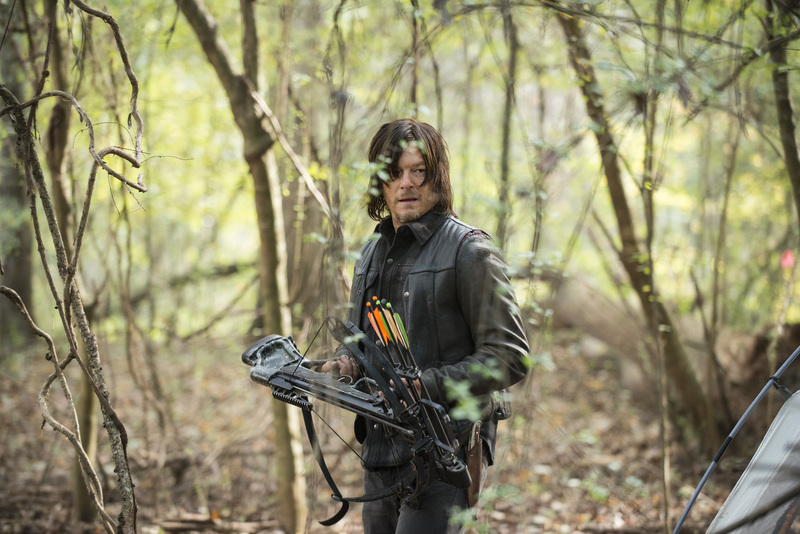 You know him, you love him – of course we have the shaggy-haired Daryl Dixon with his beloved crossbow. 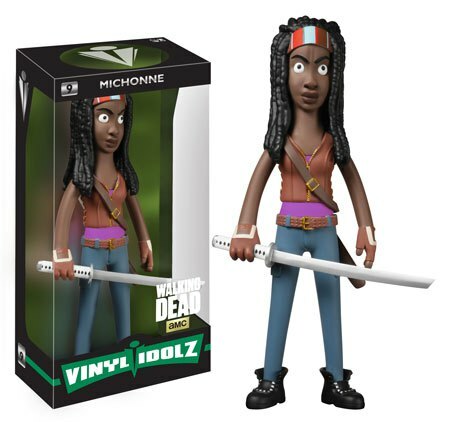 And don’t forget Michonne, who just wouldn’t be complete without her trusty samurai sword! 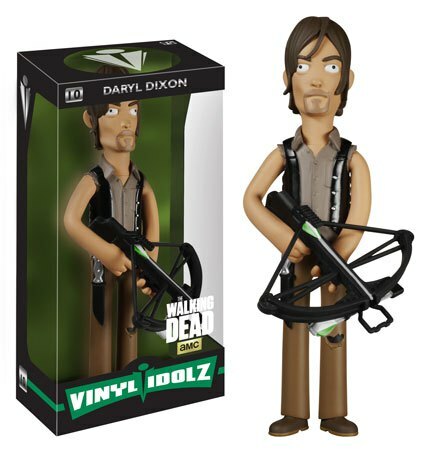 Here’s the Daryl doll. His walleyed stare will make you wonder if they’ve all become infected. Somebody with vision this bad should not be carrying a crossbow. And there’s Michonne, standing gawkily, eyeballs looking in separate directions, ready to come alive when you’re not looking and stab you in your sleep. These lovable, huggable Walking Dead dolls will become purchasable this October for the price of $19.99 each; you can preorder today through Entertainment Earth.